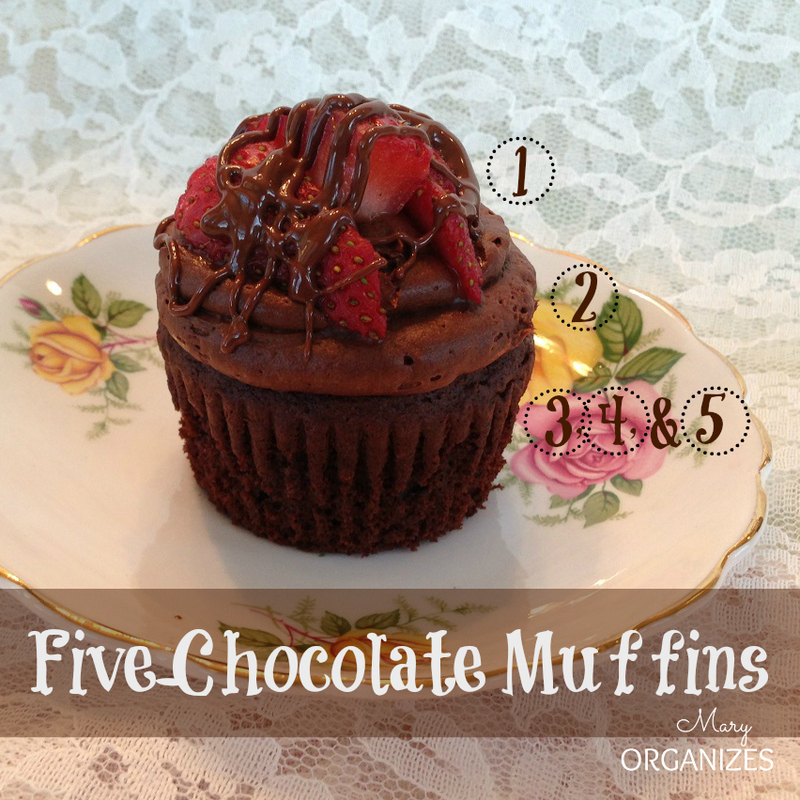 Here is the story of the Five-Chocolate Muffins. Like the rest of the universe, I use the term muffin loosely, because you can see from the picture that some people would call these cupcakes. I have this friend named Aimee who brought me muffins years ago. They were so delicious I asked for the recipe. She called them “Chocolate Chocolate Muffins”, which was fitting. Then recently I signed up to bring a cake to a women’s function at church. As I was thinking through my favorite cakes, I kept thinking of these muffins, and then I pictured them all pretty up on a 3 tier silver stand. Then I brainstormed a topping to these normally delicious non-iced Chocolate Chocolate Muffins that would be almost universally adored by women. The answer was obvious: chocolate covered strawberries. And to just really hit the chocolate point home, I decided to make the frosting chocolate as well. The cupcakes (I mean muffins) were a hit! Still, I think I’ll reserve the topping for special occasions, because the muffin itself is actually perfect too. And if you think this is a complicated desert, think again. Mix everything up except the chocolate chips and then stir in the chocolate chips. Load batter into 24 muffin tins. I used a container of pre-made whipped chocolate frosting. I spooned the contents of the container into a frosting bag (see the incredibly easy way of filling icing bags HERE, the easiness might blow your mind). I applied the frosting in a circular motion starting around the outside of the muffin top and working toward the center. Sam’s club sells some pretty awesome dipping chocolate and I used it up and can’t remember the brand. It came in a little cup that I heated in the microwave and then dipped the (cleaned and dried) strawberries. The strawberries dried in a minute! It was super easy. When I made these again to take pictures, I thought of making them a bit easier to eat, so I cut up a strawberry and drizzled on chocolate. This might actually be my favorite way. 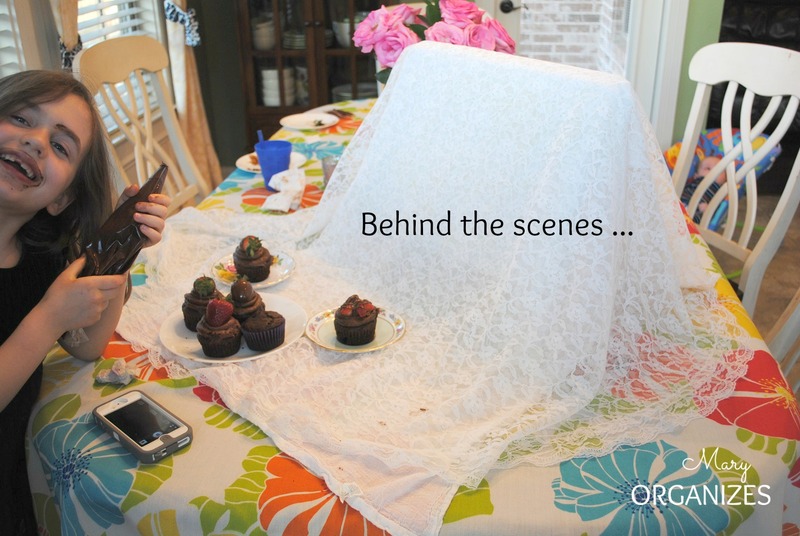 I thought you might enjoy seeing behind the scenes of these muffin pictures. Yep, I took the pictures before dinner had even been cleaned off the table. I was in a hurry to use the natural light before the sun set. And I had lots of helpers, two of four pictured. 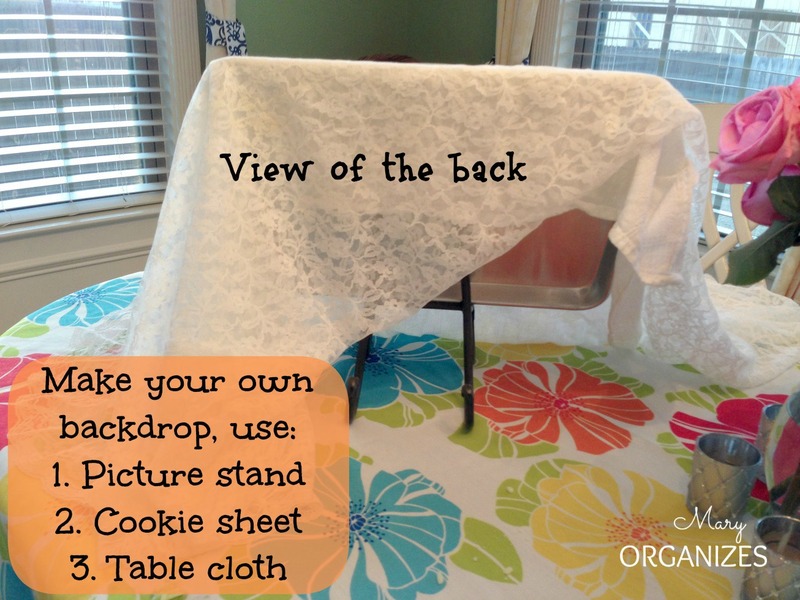 Also, here is how I made this backdrop. I was kind of proud of myself, I’m not going to lie. What do you think? Will you give these muffins a try? Thanks Mary! What a couple of great ideas, it looks so yummy!!! Love the simple way you set up this backdrop. Found you over at the Clean and Scentsible link up. These look delicious by the way! Mmmmm… these look delicious! Love the backdrop idea!